Enjoy spectacular cuisine and alcoholic beverages at 4 resort restaurants, pools and beaches on this meal plan. 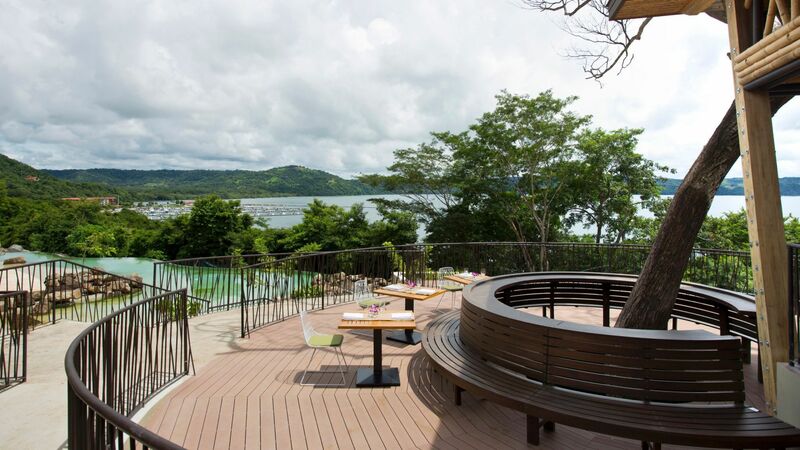 Offer valid for reservations made in advance between 02/27/2019 and 12/19/2019 for stays from 03/07/2019 through 12/20/2019 at Andaz Costa Rica Resort at Peninsula Papagayo. Must request offer code ALL19 at time of booking to qualify for package, which includes: Food: Breakfast | Lunch | Dinner | Minibar Snacks Beverages: Minibar: non-alcoholic beverages. Restaurants, pools and beaches: non-alcoholic local beverages and alcoholic beverages (alcohol for guests 18 and older) Available Beverage Brands: Local Beer, House Wine: White, Red & Sparkling, Smirnoff, Flor de Caña White, Flor de Caña 5 years, Cacique superior, Tanqueray, Johnnie Red Label, Jim Beam, José Cuervo Blanco, Campari, Vermouth, Bardinet (Coconut, Orange & Almond), Salicsa (Coffee liqueur) per day . Package inclusions are subject to availability and must coincide with guest’s stay at Andaz Costa Rica Resort at Peninsula Papagayo. No credits may be used towards alcoholic beverages. A limited number of rooms are allocated to this offer; reservations subject to availability. Offer not valid with groups, conventions, other promotional offers, tour packages or special rate programs. Rate is per room, per night, based on double occupancy and excludes service charges, mandatory resort fees, applicable taxes and other incidental expenses. Additional charges may apply for additional guests or room type upgrades. Guest is responsible for all charges not included in package. No refunds for any unused portion of package. No substitutions nor replacement services or products offered for package inclusions. A portion of the rate for this offer may reflect taxes, service charges, gratuities, and third-party charges for certain included items, and those costs are not eligible for World of Hyatt® points. Blackout dates: 20DEC19-02JAN20.